Add some sparkle to your Easter table with this darling Easter Egg Runner! 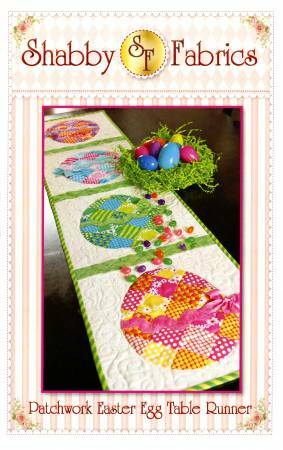 This pattern shows you to make this quick and easy project featuring patchwork eggs and glitter accents. Finished size 12-1/2in x 53in.